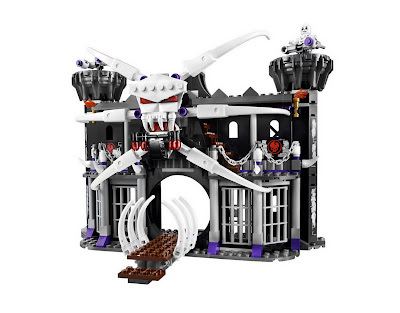 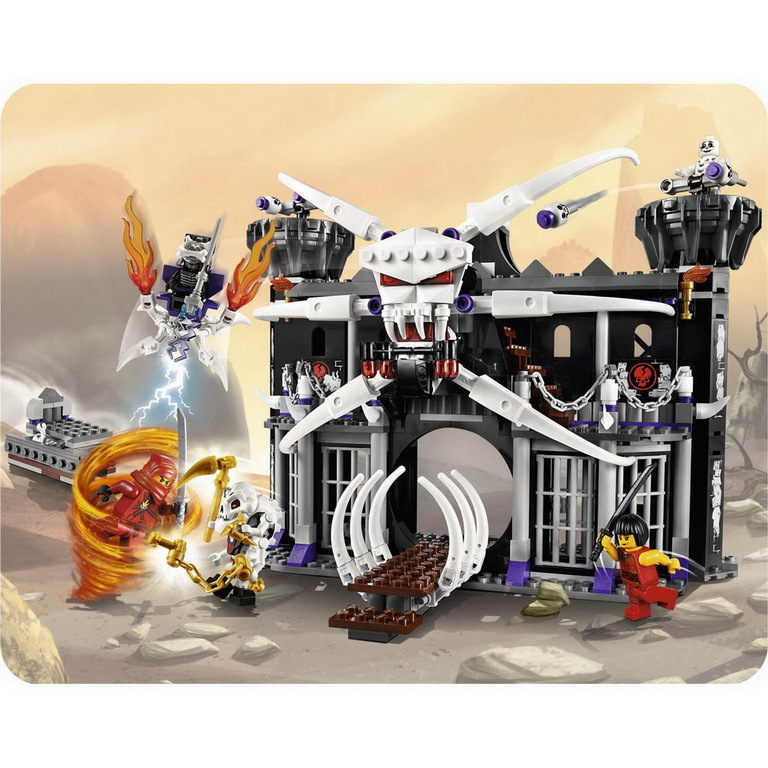 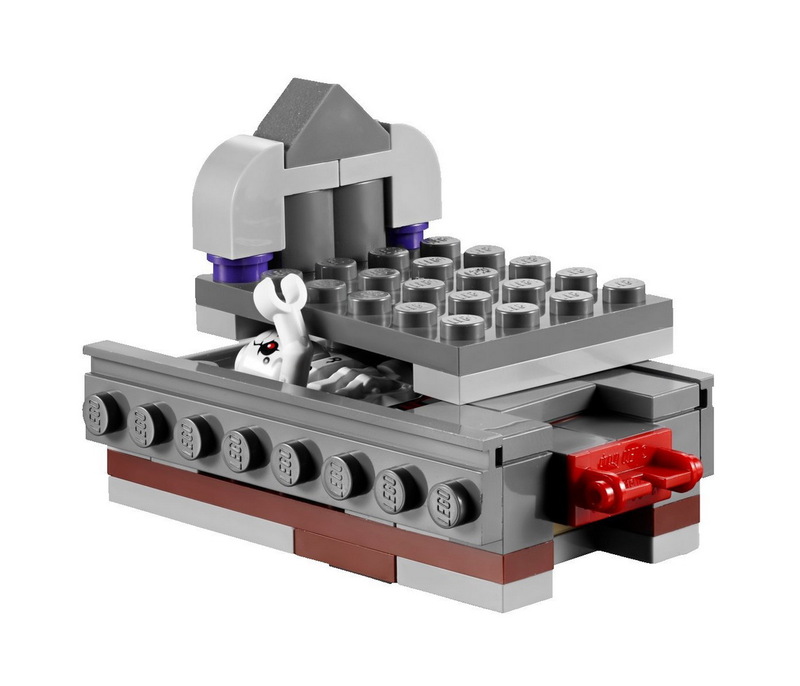 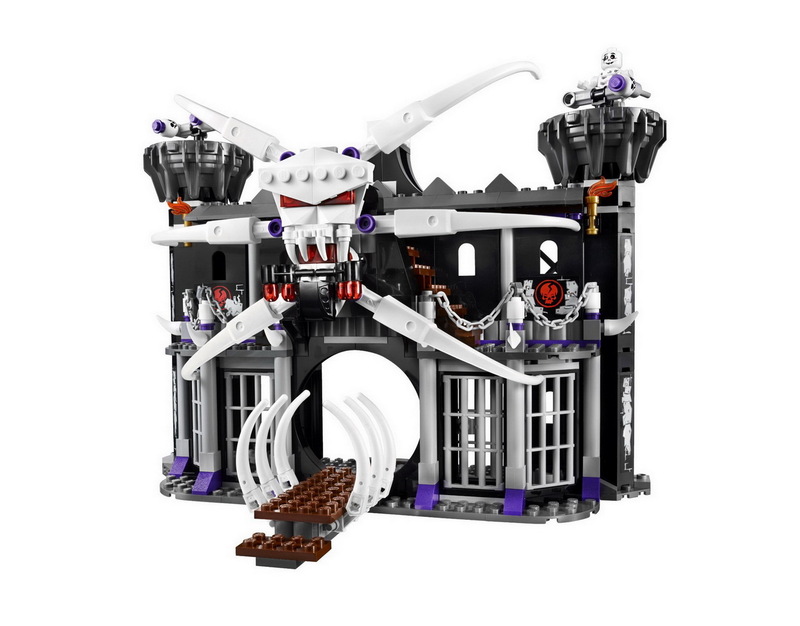 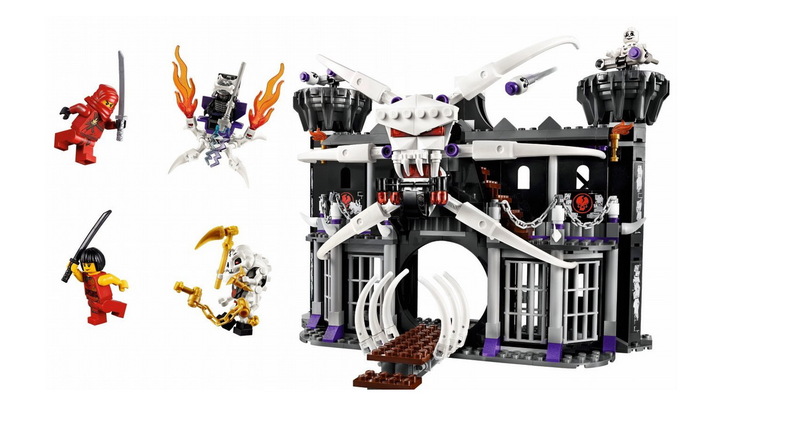 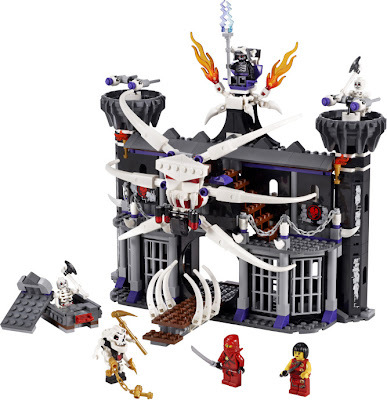 come with a garmadon's dark fortress. 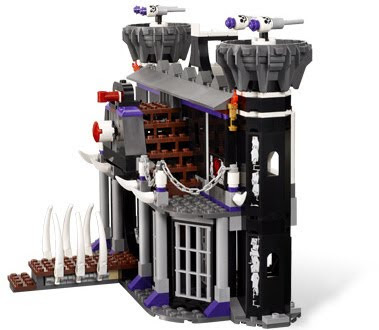 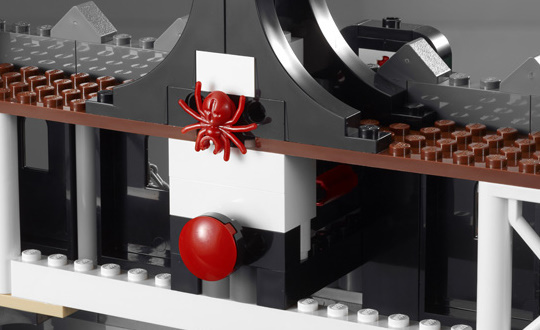 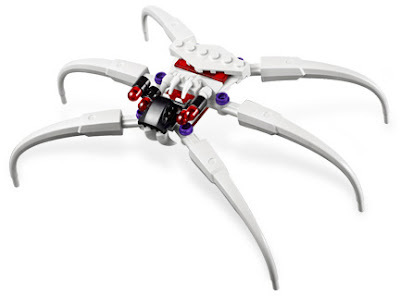 the fortress has ejectable spider and grave, prisons, missiles towers and moving throne. 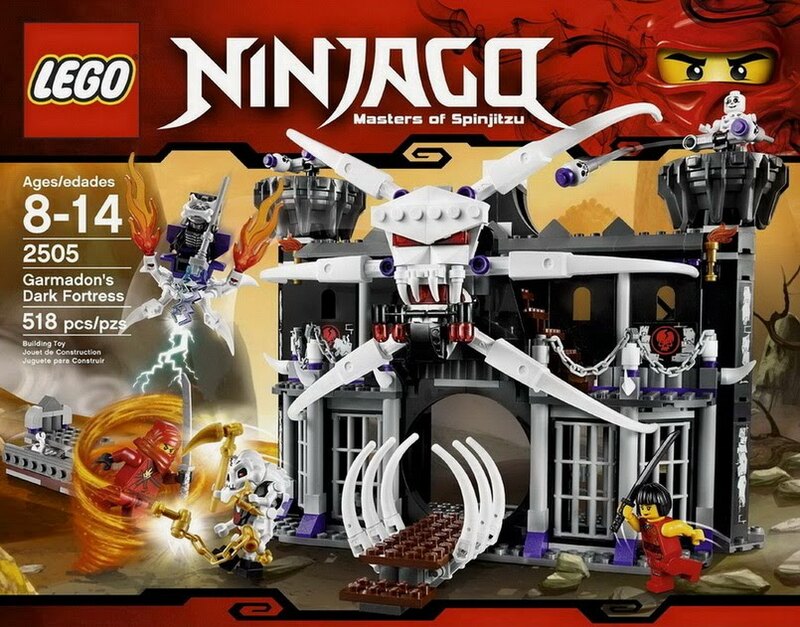 included 5 weapons: shurikens of ice, golden scythe, nunchucks of lightening, black sword and silver sword. 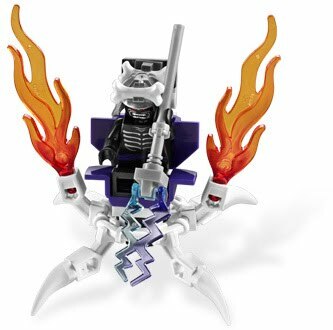 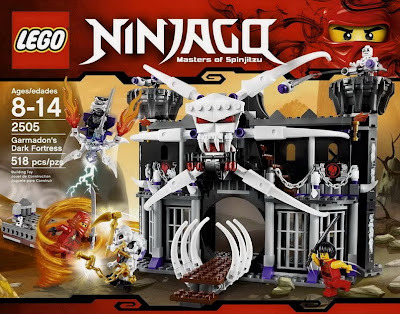 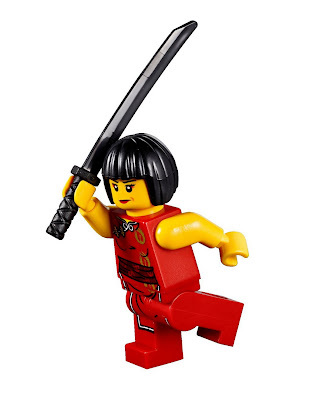 minifigs included a kai minifig, a nya minifig, a garmadon minifig, a samukai minifig, a bonezai minifig and a chopov minifig.